A collaborative performative installation, in which one or two participants sit together with me in a cozy environment for about 15 minutes to create generative images. I ask them to make a drawing on a piece of paper, write their names or a title in a second piece of paper, and pick one or more physical objects from a large collection of items made out of different materials. 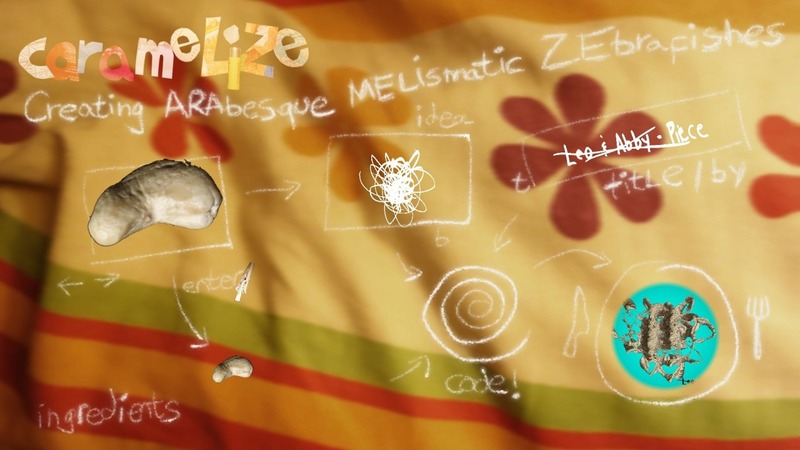 I photograph the objects with a camera, and the images are transferred wirelessly to the Caramelize GUI (image below). In the final step I code a simple application for them which combines the physical objects with their own drawings. While coding I ask them to decide about colors, sizes, rotations, amount and kind of items, etc. while showing the source code at all times. We iterate until they are satisfied with the looks. Then the title is stamped on the image, which immediately becomes part of the slide show projected on the wall for all attendees to see. 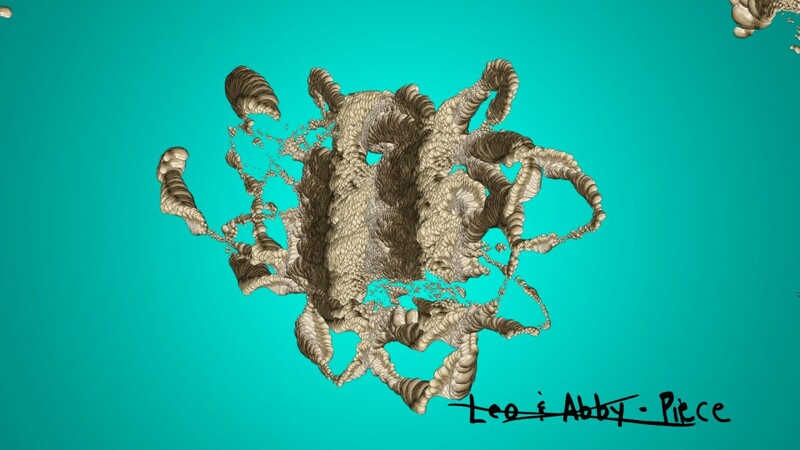 The image above shows one of the 15 images produced during the night, created together by Abby, Leo and I. It was a very rewarding experience to collaborate with people and help them create something that mixes the physical, the virtual, creativity and code.